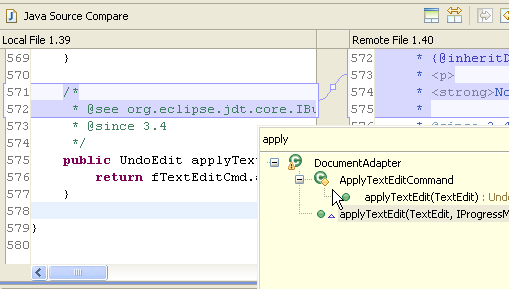 The Eclipse 2009 Release — codename Galileo – will be available in about 10 days. To help countdown the final push, I have decided to review my Top 10 Galileo features. I need to stress that these are my top 10 features. On a daily basis I make heavy use of the Eclipse SDK, Mylyn, Modeling and RAP, so my top 10 comes from these projects. Number 10 on my list is the enhancements to the Java Compare editor. I spend a great deal of time creating and submitting patches. With the compare editor, can can check — and double check — exactly what I’m submitting. However, in the past when I found a problem (or needed to review the code), I had to switch back to the Java editor. Once I had fixed the problem, I then created a new comparison and continued the process. Shout-outs for this go to Tomasz with help from Dani. Thanks guys!! Yep! I like this. Great code!! It’s so sad to see that the new Galileo release only contains crap, more or less. Hove many time do I use this functionallity to be able to edit in diff mode. Perhaps 1 min every week. I can’t emagine that the community haven’t flagged for more important features, that of course hasn’t been prioritized since this functionallity was implemented. 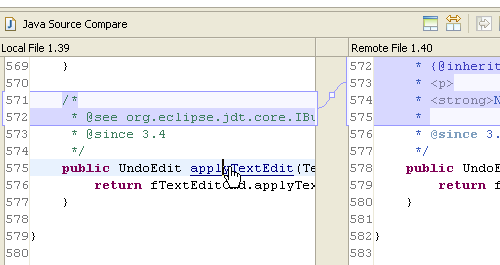 Just my opinion, it would be nice if eclipse community have some feature request voting posibillity or at least look 5 minutes at, for instance, intellij and analyze what the editor ocn the plattform really needs. I’m very surprised that you spend very little time in the compare editor. I use this editor each time I commit code to CVS, update from CVS or create a patch. I’m interested, do you work in a team environment? Do you do regular code reviews? Do you watch what others are committing to the repository? How do you accomplish these things without the compare editor? (As someone who studied Computer Supported Collaborative Work (CSCW) I’m very interested in understanding different development models). With all due respect to your working environment, we all work in the collaborative world where real people (many of them) work on real code and mist of the time common piece of code and thats where a powerful diff tool helps. The enrichment of diff tools is something that the community has taken up after constant feedback on the same. Again, you can always debate based on your usage of the tools, but I am sure am looking forward to use this feature !! > Just my opinion, it would be nice if eclipse community have some feature request voting posibillity or at least look 5 minutes at, for instance, intellij and analyze what the editor ocn the plattform really needs. Eclipse also now includes the Usage Data Collector (UDC), which sends usage pattern data to Eclipse for analysis so they know what to focus on for upcoming releases. These are very useful enhancements. They will make our team more productive. One feature I wish was included is the ability to select a file from the top pane tree view (Structure Compare) and launch an edit pane for that file. I really don’t know what’s involved with building these features into the compare editor while still supporting the compare functionality. If they could reuse existing code, I’m sure they did. Wonderful, this is much needed as the compare editor is used so frequently. 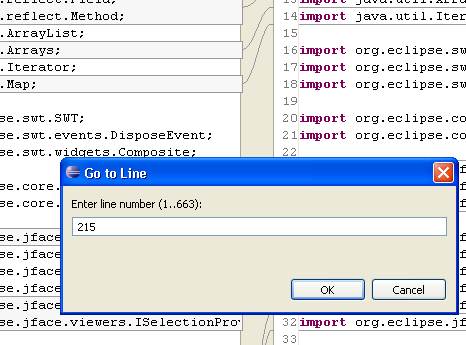 However it doesn’t *look like you can double click the line number to set a breakpoint. This is one thing I really would love to see, since I usually need to debug the code I changed before checking in. I keep the synchronize view on the right to give me a quick view of what I changed. And it would be great if i could just work out of there since it gives such a good context around what I am doing. so are breakpoints from compare implemented? Really I think the compare editor should be the java editor but the right side has a button to go away and come back. and/or the java editor has a button to bring the repository version up in the right side. Anyone see what I am getting at?